LOCATION: Transfer, PA. Note that the address giving of Recreation.gov at 2442 Kelly Road won’t get you anywhere near the campground using Google Maps. Charlene, my RV, settled into our campsite, #89, at Shenango River Lake. I only needed to raise one wheel a little in order to get level. Some other sites have more tilt. ACCESS: Roads to and within the campground are paved. It’s a little bumpy in places within the campground. It appears that there are three handicap accessible sites. MAXIMUM RIG SIZE: Most sites listed on ReserveAmerica show lengths in the 50′-60′ ranges but some were larger. LEVELNESS: Some sites more so than others. It’s not an extremely tilty place so I think leveling won’t be too much of an issue in many sites. SHADE: Yes, some sites more than others. Some sites are open, some well shaded. SPACING: I’d say from close to moderate, even generous depending upon the site. 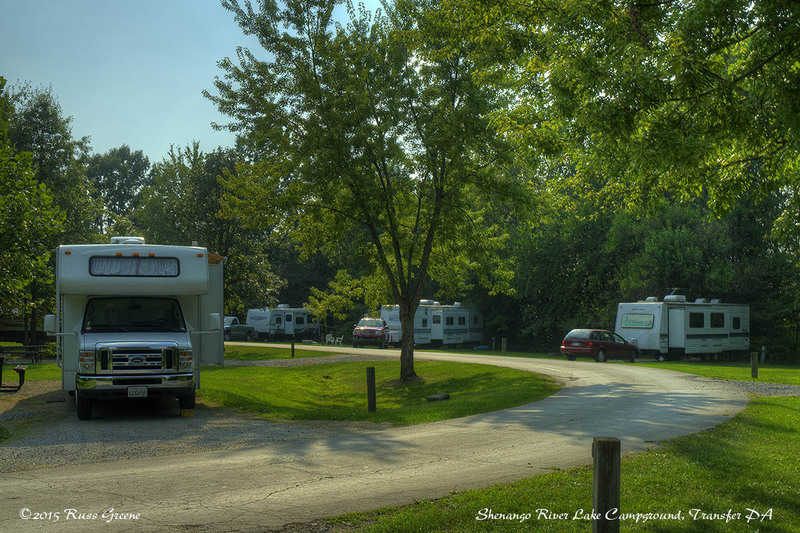 A few of the lakeside campsites at Shenango River Lake Campground. This loop had no electricity and few campers. The loop I was had electrical hookups and was very close to full. I was there during the week in late August. HOOKUPS: Electricity only and only in some sites. See inset. In late August, mid-week, many of the non-electric sites were vacant. Not so for the sites with electricity. BUGS: I was not troubled by bugs in late August when I was there. 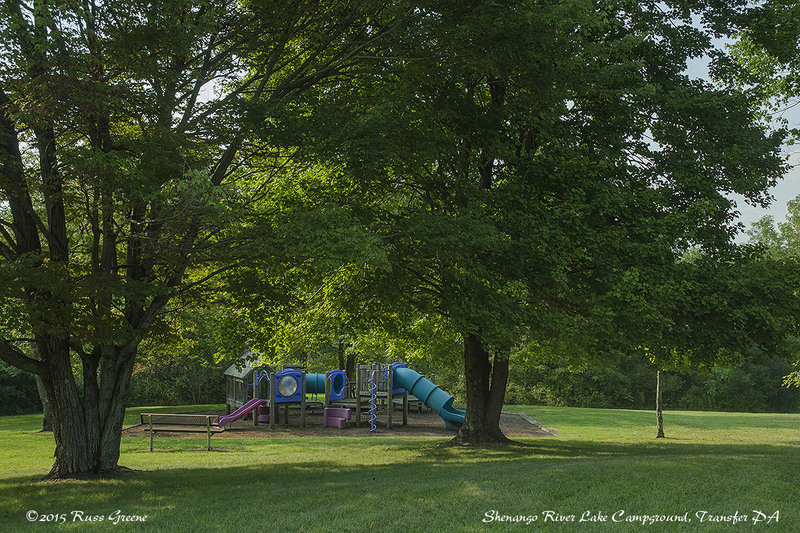 This is one of the two playgrounds I saw at Shenango River Lake Campground. There may be more, but I didn’t visit all the camping loops as of this writing. There is also a volleyball court and swing set within the campground (not pictured). Gas: It wouldn’t be more than a few miles as Hermitage is nearby. 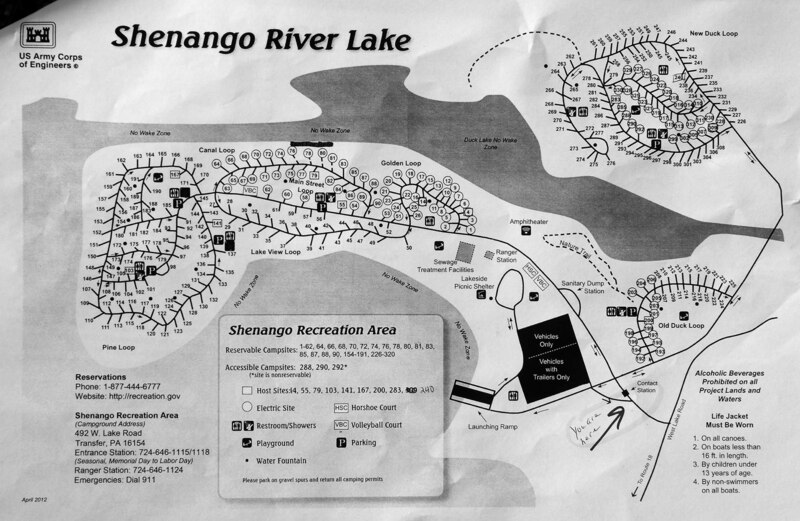 This is the Shenango River Lake Campground map available at the office. There is something like 330 sites here. The legend shows which sites have electricity (circled site numbers) as well as which are reservable and non-reservable. There is a reservation phone number to Recreation.gov as well as the phone number to the on-site campground office, etc. As with all of my images, click on it to enlarge. 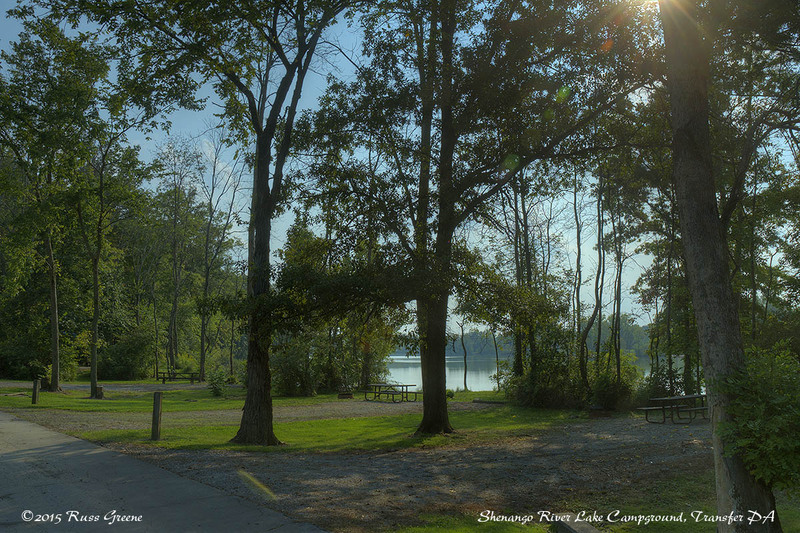 I stopped at Shenango River Lake Campground on my way west from Connecticut where I spent much of the summer at Lake Waramaug Campground in New Preston. I was headed west to visit the 7 remaining states I needed to get to in order to have been to all 50. 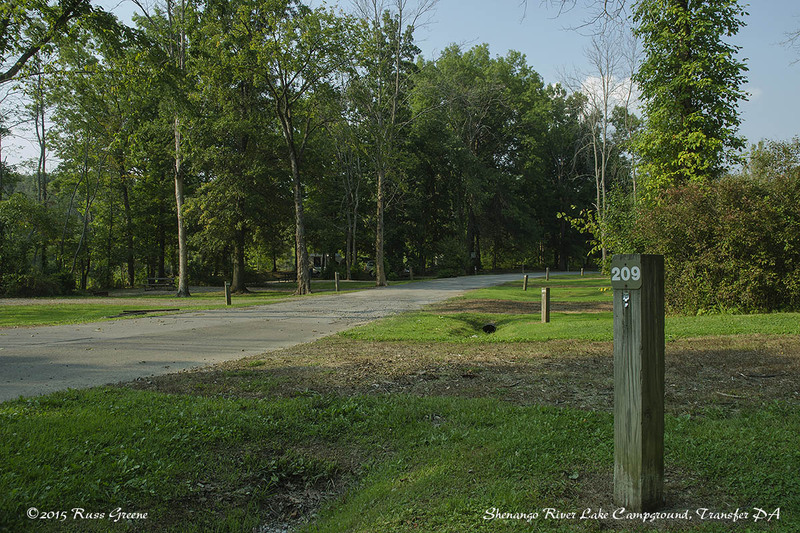 Shenango River Lake Campground isn’t far north of I-80, the route I was traveling. If you’ve stayed at an ACE campground before you probably have a feel for how the ACE does things. There campgrounds are generally pretty nice but in my experience don’t quite ring the bell in terms of restrooms and showers. They get close in some cases, but the people who design and build them don’t seem to really be paying attention to what makes for a “proper” restroom or shower. I used both because they were usable, but as I said they could be better. 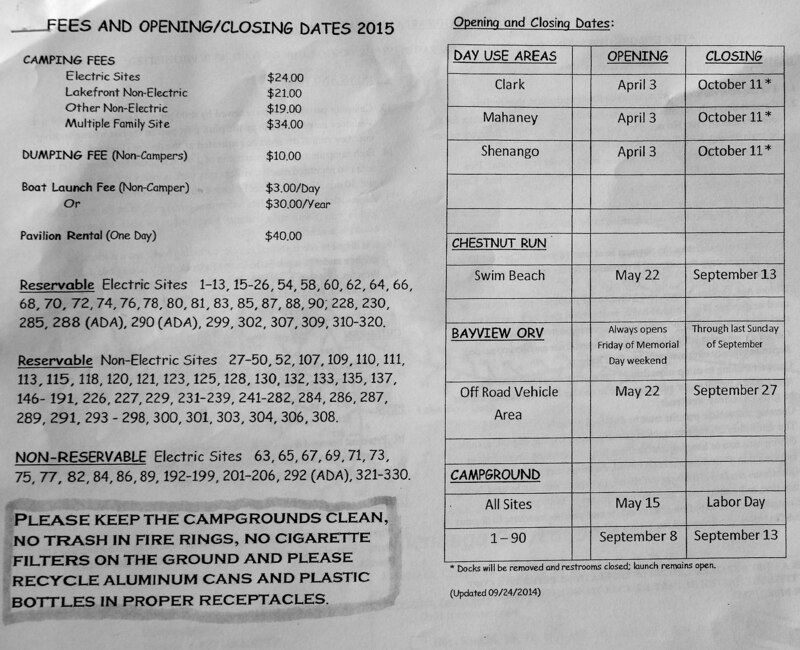 Here is a shot of the 2015 Shenango River Lake fee schedule. It also lists reservable and non-reservable sites, and sites with electricity. What it doesn’t say is that interagency pass holders get 50% off. Click on the image to enlarge. 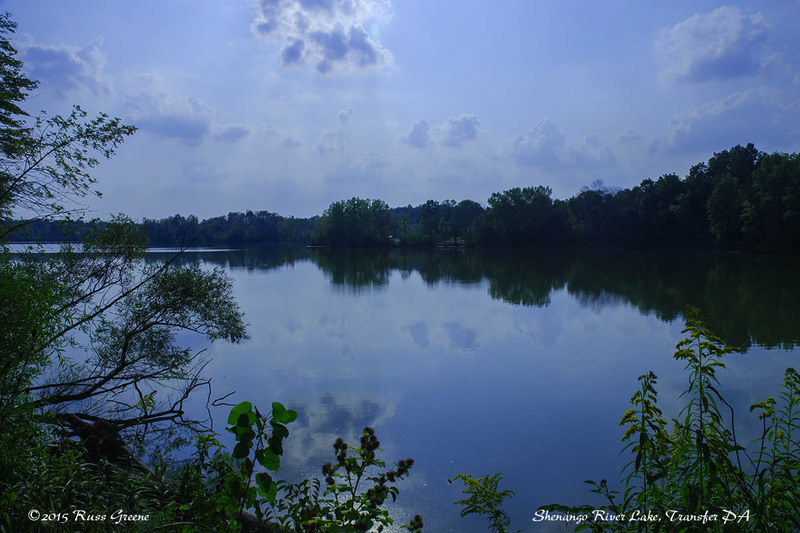 My stay at Shenango River Lake Campground was brief so I didn’t get a terrific feel for the place outside of the campground itself. I believe there are water sports available on the lake but I don’t know what the rules are. There is a boat launch and No wake areas indicate on the campground map so it would seem that at least some kinds of motorized watercraft are permitted. The loops and areas without electricity were sparsely populated when I was there mid-week in late August. those with electricity were close to full and I got the feeling that people tend to stick around. Why not? It’s a fairly pleasant place, after all, and at $12 a night for a site with electricity for people with an interagency pass it’s pretty much a bargain. ACE campgrounds are also know for that. 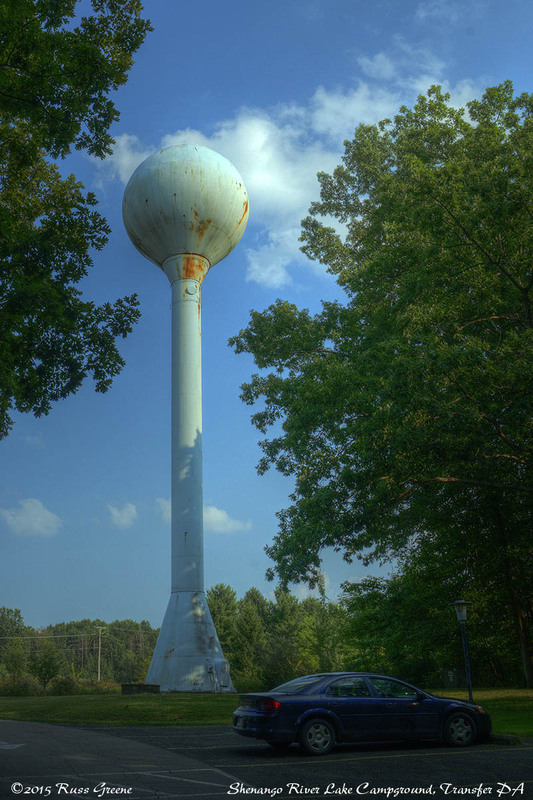 This water tower looms over Shenango River Lake Campground. Actually, I’m just guessing it’s a water tower. It could be that the Martians have landed.